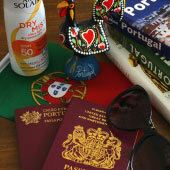 Lagos is a historic and vibrant city, which is situated on the western edge of the Algarve. 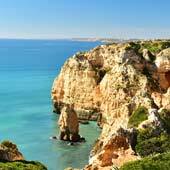 The city lies along a coastline of beautiful sandy beaches and dramatic natural scenery, and this stunning coastline has transformed Lagos into one of the most popular tourist destinations of the Algarve. Lagos has responsibly developed into a tourist destination, by maintaining its historic centre and rich heritage, while losing none of its traditional charm. 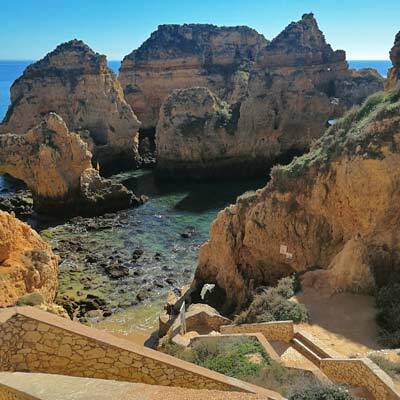 Lagos is ideally positioned as a base from which to explore the western Algarve, and the size of the city means that there are excellent tourist facilities. This guide will provide a suggested 3-day itinerary for a visit to Lagos. The following is our suggested tour of Lagos, which is the route we recommend to friends and family when they visit Lagos for the first time. Lagos has had an extensive history, and this is reflected in the varied number of historic monuments and buildings found within the old quarter. The city was established as a Moorish trading port, and flourished in the 14-15th centuries as a centre for seafaring and exploration, but Lagos was under the constant threat of raiding pirates and foreign invaders. 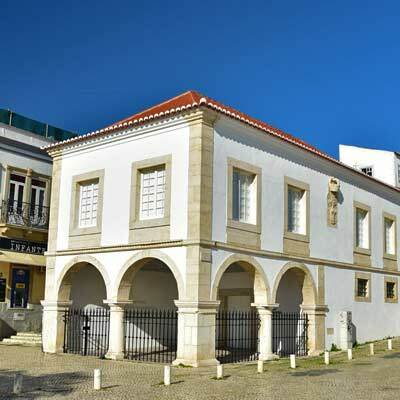 •	The charming Forte da Ponta da Bandeira fort, which once guarded the entrance to the Lagos estuary. 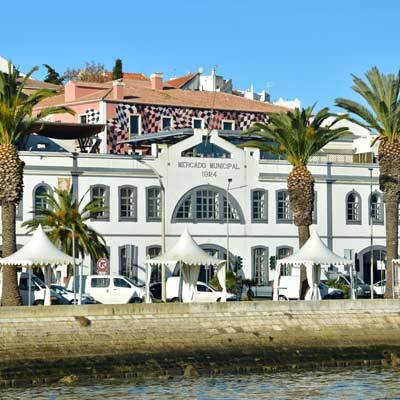 •	The Mercado de Escravos, the first slave market in Europe, which was later converted into the customs house. 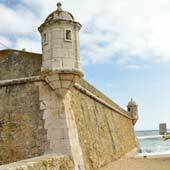 •	The ancient city walls, the best-preserved section is the Saint Gonçalo's gate, opposite the Bandeira fort. 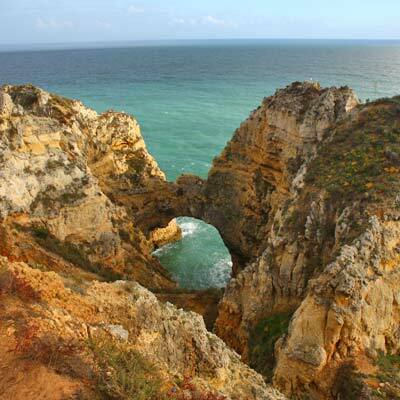 For the afternoon it is suggested to explore the Ponta da Piedade headland. These golden coloured cliffs have been carved by the power of the Atlantic Ocean, that has created unique rock formation of sea arches, precariously balanced pillars and hidden grottos. The headland can be explored from the landside or from the water, via small boat tours. The boat tours are able to navigate and weave between the misshapen cliffs as they use small boats that were once fishing boats. 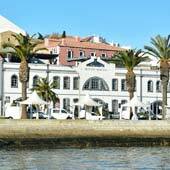 The boat tours depart from Lagos Marina, and typically costs €20 for a 90 min trip. At the top of the cliffs, there are coastal footpaths and a series of steps which descend to the base of the cliffs. 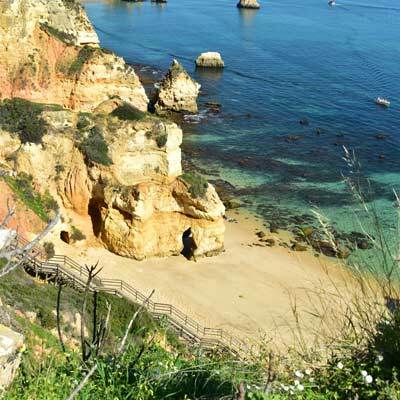 On the western side of the Ponta da Piedade headland is a wooden boardwalk, which provides magnificent views over the region. There are many challenging and scenic hiking routes along the Lagos coastline. One of our favourite trails is the 4km coastal path from Porto de Mos to Praia da Luz, that climbs the towering cliffs that separate them. 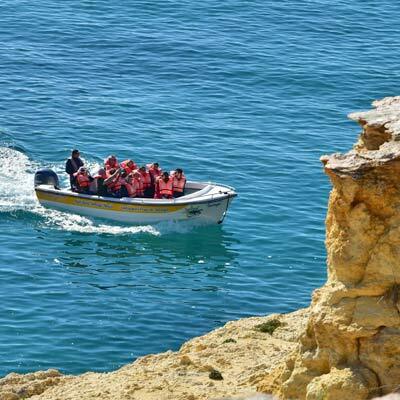 For the return, there is a regular bus from Praia da Luz to Lagos, so you don’t have to reclimb the cliffs again. An alternative activity for the morning is to go surfing at the Porto de Mos beach, this beach has decent swells and an expansive sandy beach front. Let’s be honest, if you have chosen to visit the Algarve during the summer, then you will be wanting to spend some time on the beach. Luckily Lagos’ beaches are wonderful. There are beautiful beaches for sunbathing, sheltered beaches for families, or windswept beaches ideal for surfing and body boarding. The Dona Ana beach is one of the Algarve’s finest beaches and has soft golden sands, crystal-clear waters and an idyllic setting. The Meia Praia beach is the largest beach of the region with a pristine beachfront that extends for 4.5km. 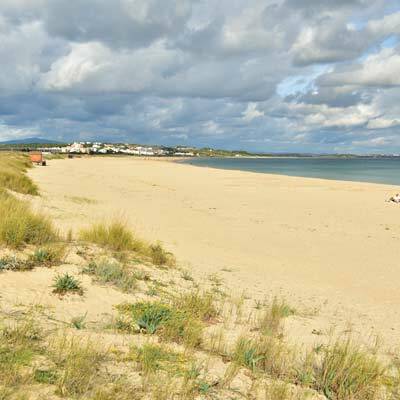 Close to the city centre is the Praia da Batata, a safe and sheltered beach, which is popular with Portuguese families. 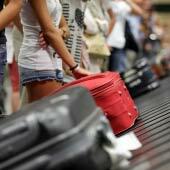 For the third day, it is suggested to have a day trip to one of the fascinating towns that surround Lagos. 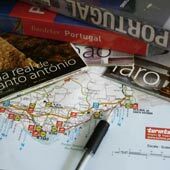 Our three suggestions are the towns of Sagres, Praia da Luz or the charming village of Burgau. 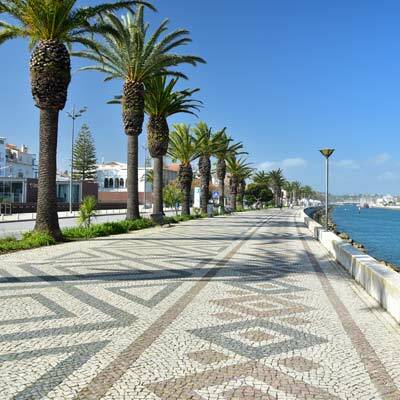 Note: For the day trip we have selected towns close to Lagos, under the presumption that this is a touring holiday for you, and you will have extra time to visit Silves, Portimão and Ferragudo and Carvoeiro. 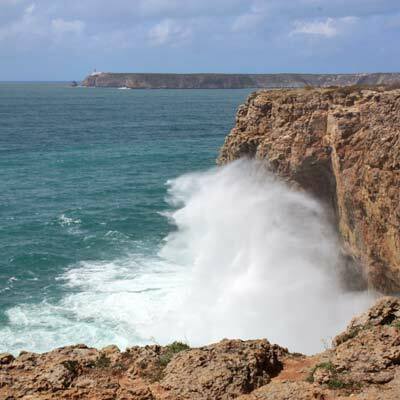 Sagres is the most westerly town of the Algarve and the region is dominated by the savage seas of the Atlantic Ocean. There are towering cliffs and vast beaches, onto which huge waves break, and Sagres offers some of the best surfing in Portugal. The town has a trendy surfing vibe but a ramshackle appearance, and sights include the unique fort, the fishing harbour and the Cabo de São Vicente headland. 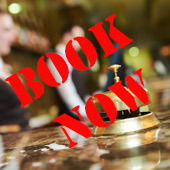 There are direct bus services from Lagos to Sagres. 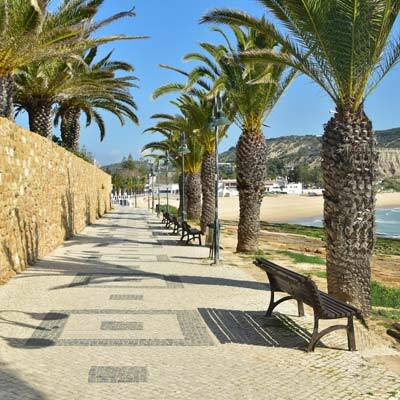 Burgau is one of the most traditional and authentic villages in the Algarve. Fishing boats are pulled onto the beach, there are narrow cobbled streets, and locals mingle with tourist in the cafes. 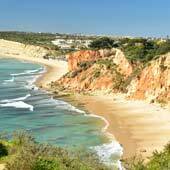 Burgau is small and not for all, but if you have an interest in discovering how the Algarve was before tourism arrived, then you will love Burgau. 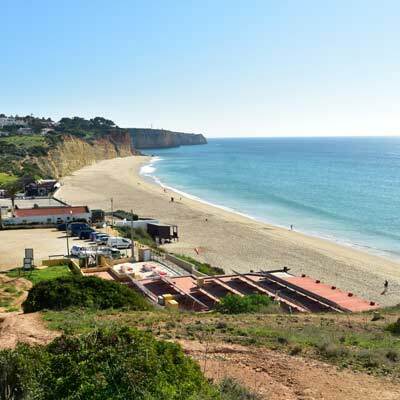 Praia da Luz is a likeable resort town, which has a personable and welcoming atmosphere. There is a massive sandy beach that extends around the bay, and is surrounded by relaxed beach bars and cafes. 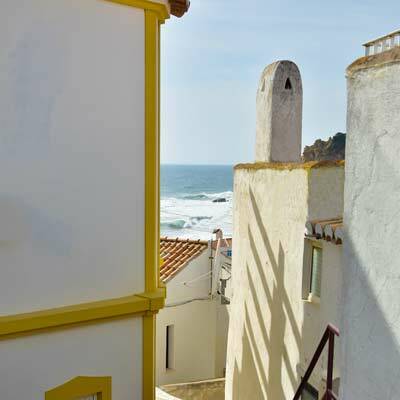 If Lagos and the central Algarve gets too hectic for you, then Luz is the location to unwind.